Slimline PVC-u double glazed replacement window system. 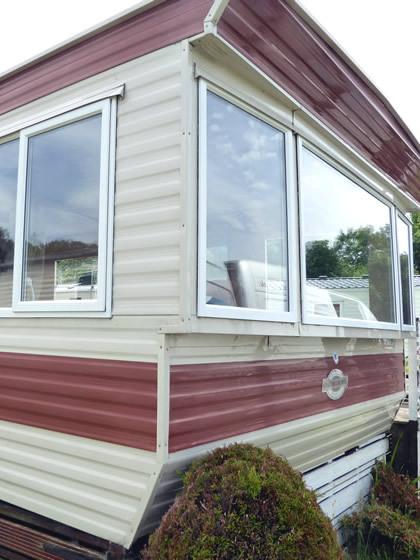 Our windows and doors are specially designed to save you money on your static caravan heating bills. 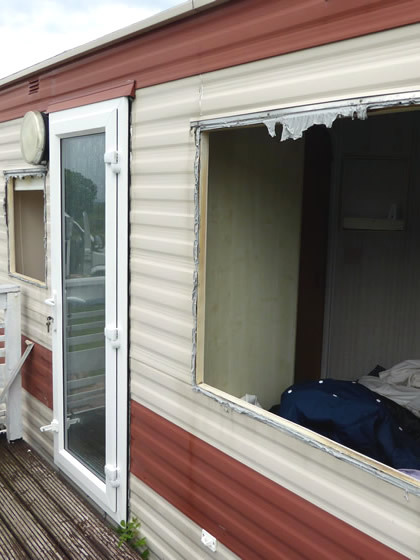 Your static caravan needs to be safe to use and your property secure at all times. 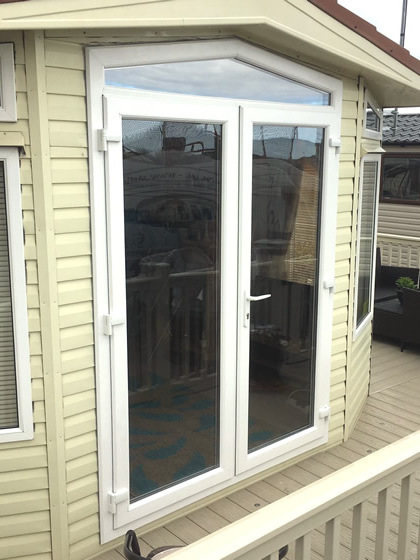 The windows and doors we provide have a high security locking system built-in as standard. 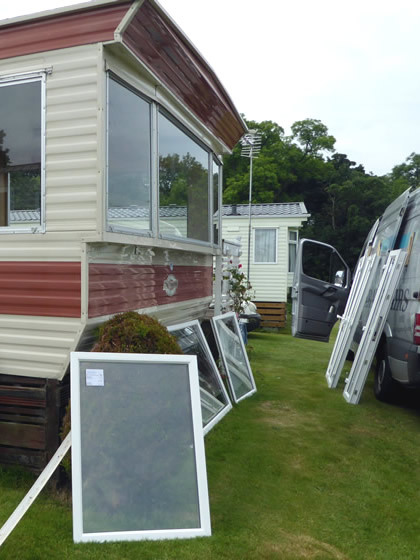 Our static caravan windows & doors replacement service covers North Wales, Mid Wales & North West England. Tweets by StuartGreenCR If you can’t view our tweets it is probably because the web browser tracking protection is on. Either visit our Twitter page by clicking on this link or disable the tracking protection for this website (look for the shield icon on the address bar). 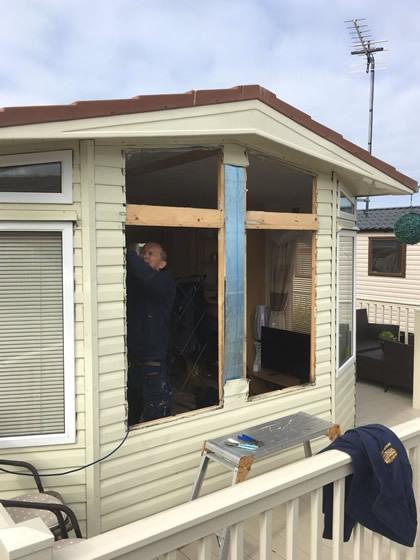 Stuart Green Caravan Repairs is an established professional company dealing with all types of repairs to static caravans with over 25 years’ experience! 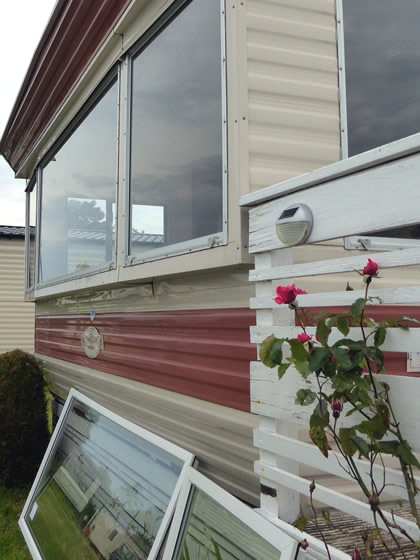 We specialist in caravan panel replacements. We can replace anything from a single panel to complete sides! We supply and install Windows & Doors all over North/Mid Wales and North West England. 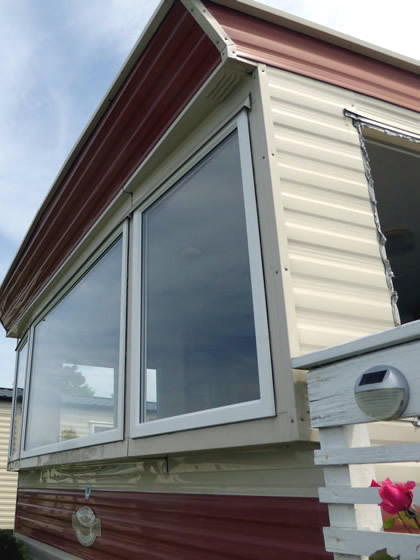 The window and doors that we use have been designed specifically for static caravans and holiday homes. 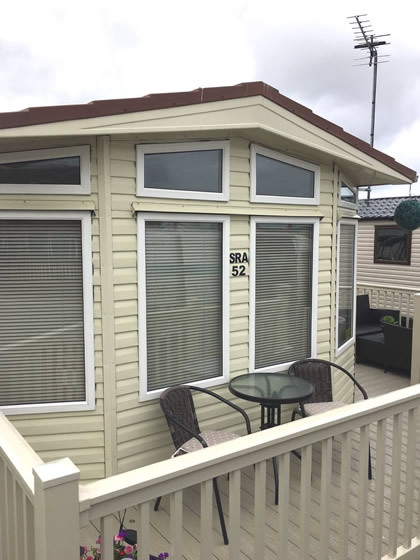 The UPVC system provides all the advantages found in conventional residential PVCu windows but with slimmer dimensions to correspond with holiday home construction requirements. 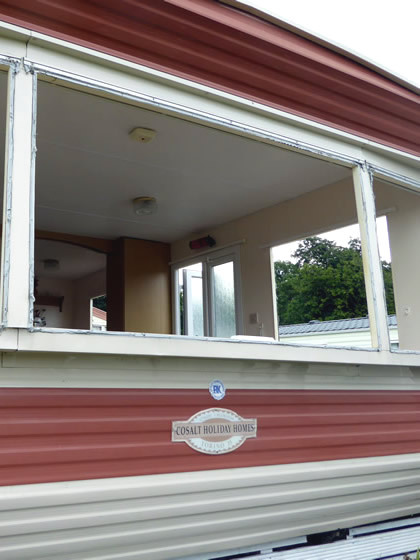 Safety is an important aspect in static caravans. The windows and doors we provide have a high security locking system. Further details and a portfolio of previous work done is available on our window and door replacements service page.